The west bay again, this time looking back south towards the loading bay. From here, you can walk under the turbine hall and out towards the east bay. 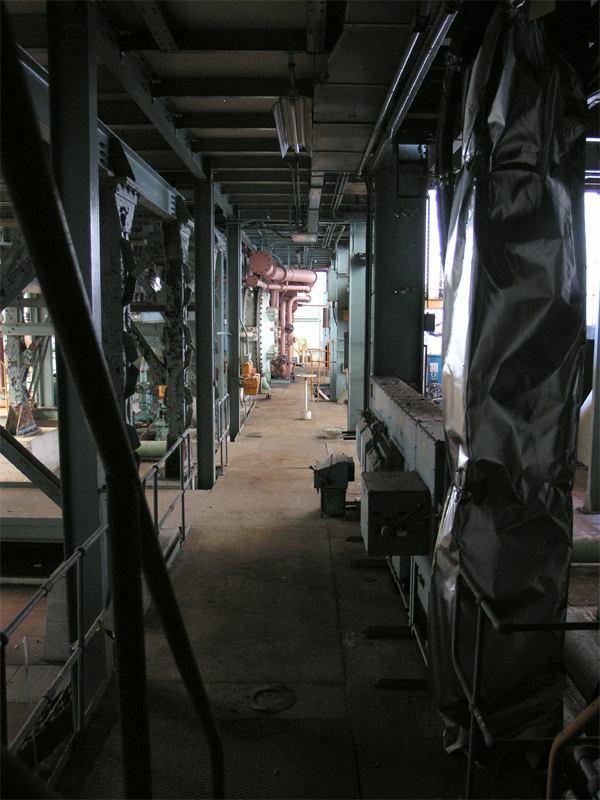 Ground floor of the turbine hall looking north.